Testing for my CSSLP and trying uCertify. | MetroUI:Another user has already installed an unpackaged version of this application. In the solution that needs the C# class, right click on the solution in Solution Explorer and select Add New Project. 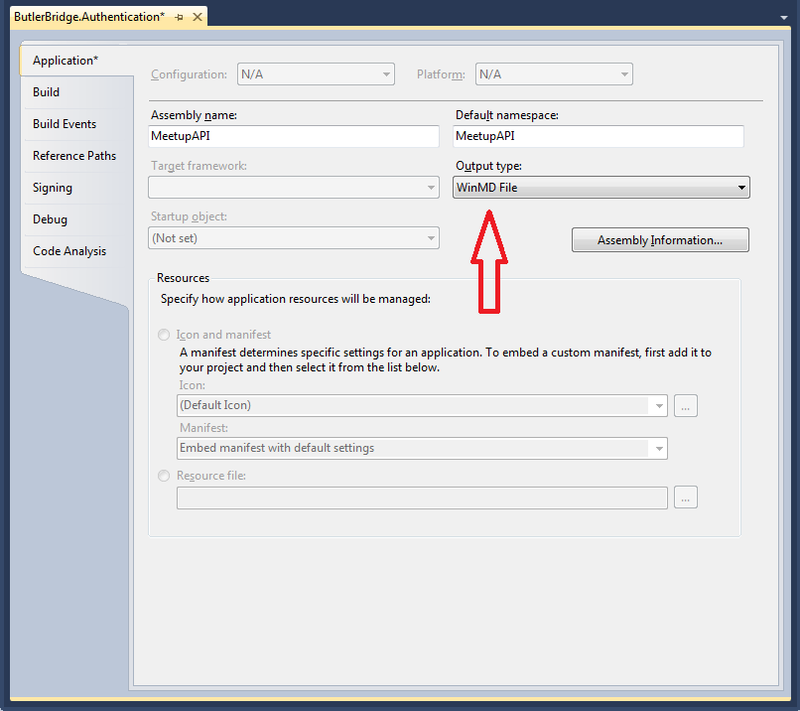 I used new rather than trying to import one becasue the import facility is a little buggy in Visual Studio 2011. 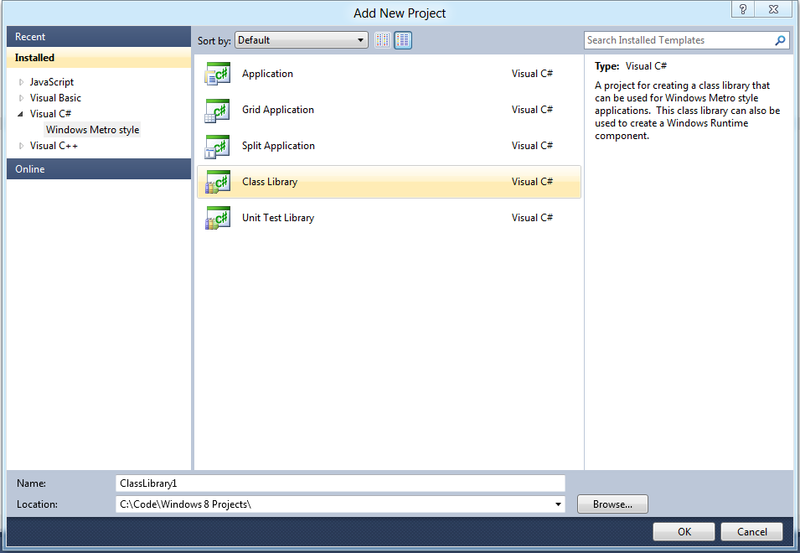 Click on Visual C# and then select Class Library as shown in Figure 1. Once the project is added , you need to make two changed before you can reference it in your HTML5 application. First, the output type of the assembly needs to be set to WinMD File, as shown in Figure 2. You can change this in the Properties. Note that implementation inheritance isn't alloweed in Metro applications, so you need to head back to the 90s to get your polymorphism working, sorry!